Great news for 2019: coming soon, DIRECT sales and service in the UK and Ireland! 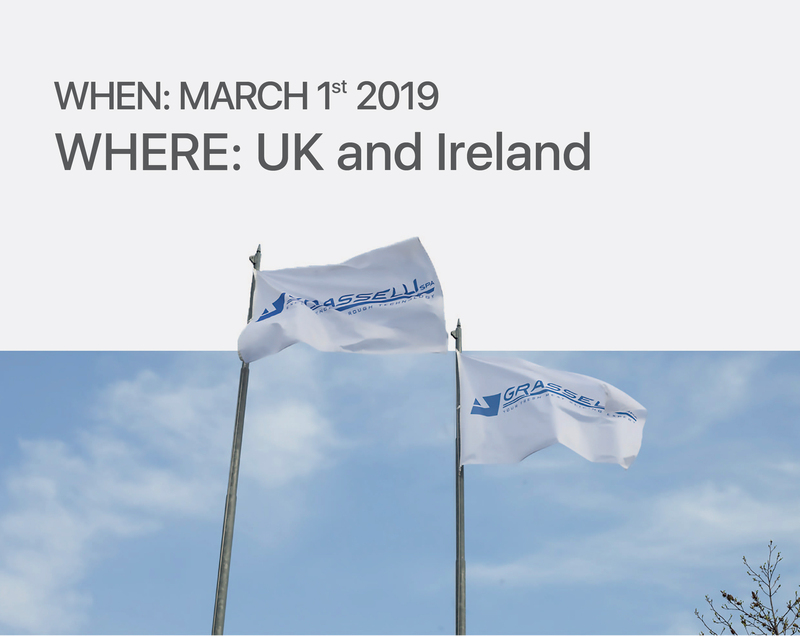 We are excited to announce that by March 1st 2019, Grasselli will be servicing our customer base directly in the UK and Ireland, from spare parts supply, to service and new machine sales. The direction of Grasselli and Cutting Edge Services, our long time distributor, has diverged, with Grasselli wanting to give full focus on our superior product range of slicing and skinning equipment and Cutting Edge fully focused on servicing the customers across a broad portfolio, and we have mutually agreed that Grasselli is better placed as a direct operation. Starting March, 2019, all of Grasselli’s know how and experience will be at close reach, thanks to a new direct sales and service organization. Providing the highest level of efficiency and productivity through advanced and innovative technology. This is our goal, it has always been. Today we’re proud to shorten the path to our customers and to strengthen our international presence in the UK and Ireland. Grasselli and Cutting Edge will continue to work together, albeit in a more limited capacity, to ensure that customers are always in the best position.